I asked my workshop class in London, “Who has heard of Burning Man?” Less than half the class raised their hands, so maybe it requires a bit of explanation! 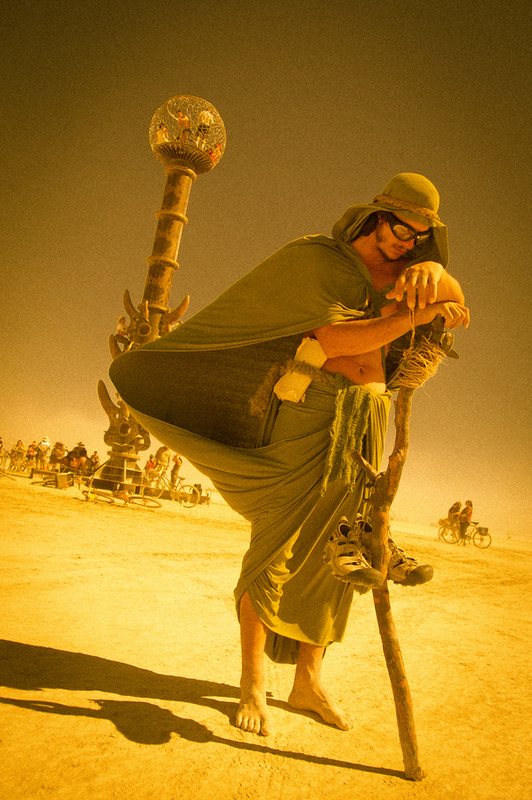 Burning Man is a gathering in the desert of Nevada every year that attracts tens of thousands of artists, geeks, hippies, and everyone in between. 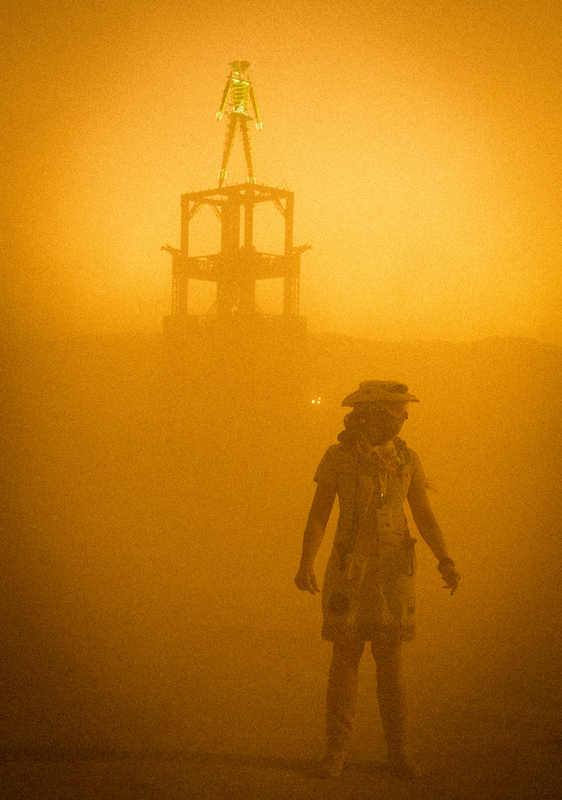 People stay in costume all week, prepare fabulous art pieces, build extreme camps, drive outrageous art cars, and more. I wore goggles most of the week to combat the frequent sand storms that come out of nowhere. They bathe the entire landscape in an orange scouring sand that exacerbates the post-apocalyptic scene. 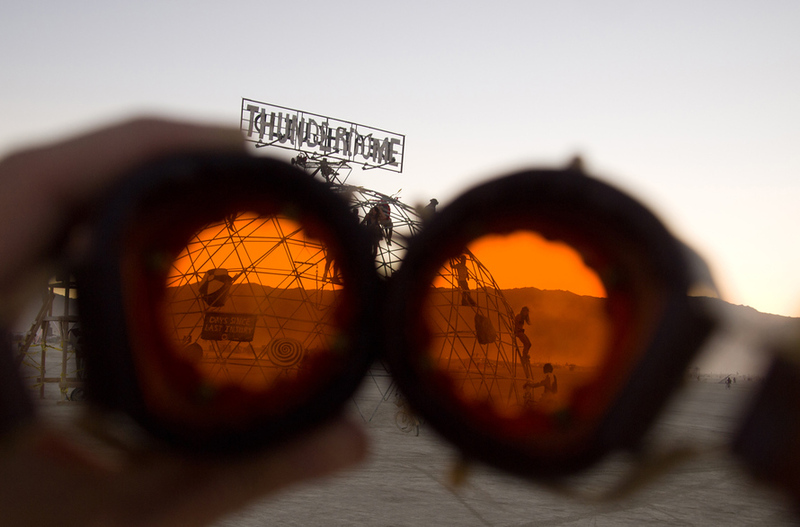 Because I became so used to seeing Burning Man through my goggles, I wanted to bring the experience to you as well. Below are a selection of photos with captions underneath. 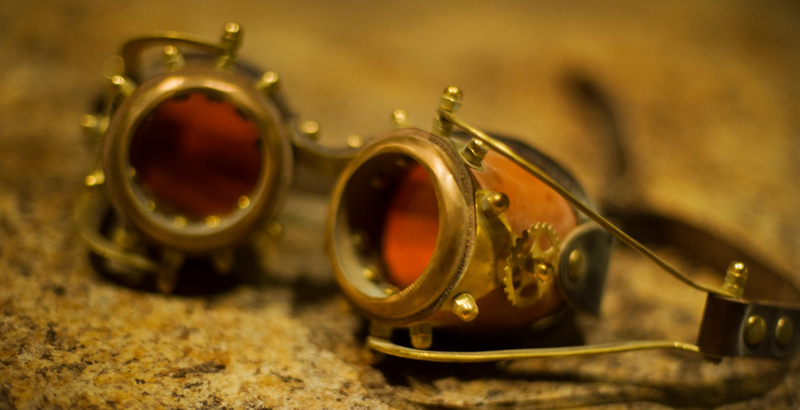 My steampunk goggles that came in handy when the desert storms ripped through the landscape. 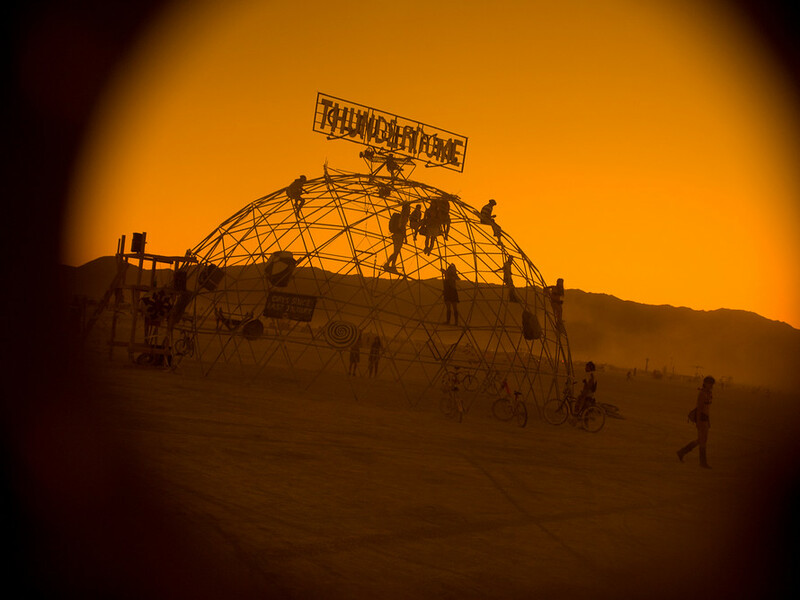 Putting on the goggles near The Thunderdome, one of the many camps and fighting arenas that spontaneously appear in the impromptu city. A traveler rests in front of a massive art structure. The art piece in the back has a hollow trunk that allows people to climb up to the spherical cage on top. In the middle of the city is a vast expanse of desert where anyone can set up art pieces. Here, a small booth offering advice was erected. I sat down for a moment and they said I was beyond help. 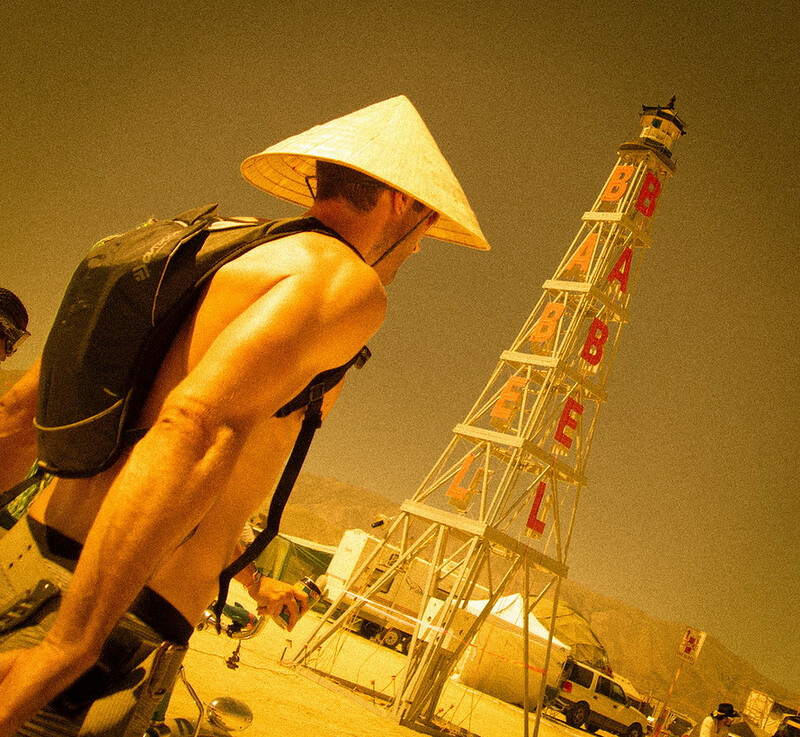 Near my camp, a burner walks near the radio tower of Babel. 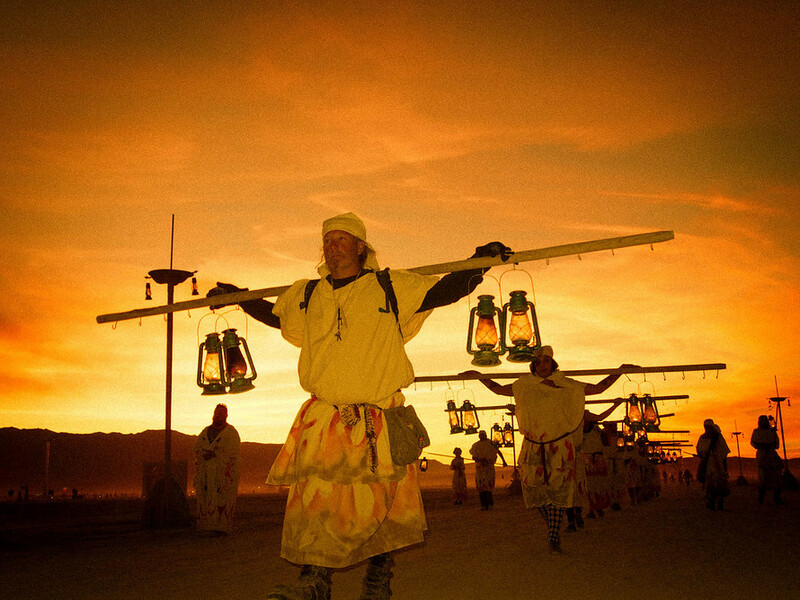 Every evening, a group of lamplighters walk through Black Rock City, hanging lanterns atop tall poles to keep the pathways lit for other travelers. Als eerste op de hoogte van onze nieuwe berichten? Vul hiernaast uw email adres om lid te worden van ons blog of vind ons leuk op facebook! Zelf leren fotograferen? Volg een fotografie cursus in den haag bij De Schietstoel! Fantastische foto’s, zou daar graag eens heengaan!